We Are Cash Homebuyers in Gloucester MA - Learn More!!!!! Time and money are probably the two biggest things to consider when selling your home. Ideally, you’ll get the most money in the least amount of time with the least amount of your own time invested. Great! So, you know that we’ve got a tradeoff here – spend more of your time getting a higher price, or spend almost no time and get a somewhat lower price. This second option is where we come in. 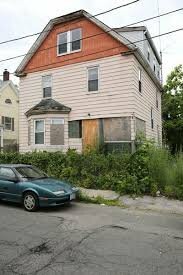 We will buy your Massachusetts house quickly for cash and with no hassle to you. The tradeoff is that we can’t offer full retail market value when we do this (check out why this isn’t actually that bad though). If you need to sell your Gloucester house fast… we are one of a couple local home buying companies who pay cash for homes in the Gloucester, MA area. Let’s get you some more info and dive into how you can sell your local Gloucester house fast and get cash for your house without dealing with having to list your house with a real estate agent – and waiting months for it to sell. How Do Cash Homebuyers in Gloucester Work? And before you continue to the article below… if you’re not sure how the process of a “We Buy Houses” company buying your house would work, check out our “The Process” page as well as our FAQ. Price vs. Time is a Trade-Off – Which Is More Important To You? You probably also know that real estate agents charge a commission around 5-7% in MA – depending on your sale agreement you may pay none, half, or all of this cost. Consider if it takes you 6 months to sell and you have to pay 6% commission ($24,000 on a $400,000 house)… is that worth the wait? 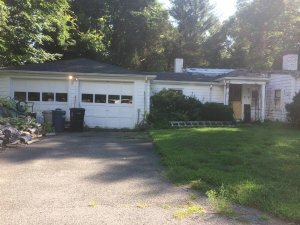 We Buy Houses in Massachusetts, will evaluate your house… determine the after repair value… determine how much investment is needed in repairs… estimate how long it will take… and then of course figure in a reasonable profit for the risk and work involved in buying the house, renovating, and selling it. Thus, you can understand why our offers can’t compete with full retail market value. But in exchange for that, you get speed and no hassle! We can close quickly (in as little as 7 days if the house is right)… so if selling your house fast with zero hassle at all is more important than squeezing every penny out of the sale… submit your info on this form or give us a call at 978-712-8250. We can make you a fast, easy offer in less than 24 hours. We don’t know if we’ll have the best or worse price that you’ll find if you shop around – but you can be assured that when we make you an offer, we’ll follow through with what we say we’ll do. We offer what we know we can pay – some others will offer lowballs to make more money, and some will give you a better price but will back out of the contract! We also won’t make you an offer if it isn’t right for you – we’ll tell you what we’d recommend for you when we talk after getting information about your situation. Even if us buying your house is the thing to do, we’ll still give you comparative options of course. How Much Time Can You Put Into Making Your Gloucester MA House Sell? One of the main reasons (other than selling their MA house fast) that people sell to us fast for cash is simplicity. We take 100% of the stress and work of selling your house away. Negotiate via your agent on price, terms, etc. 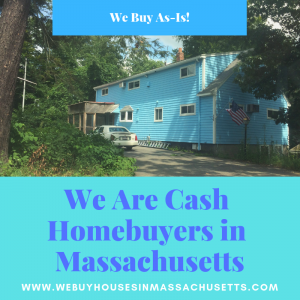 We are cash homebuyers in Massachusetts who will buy your house in any condition! Especially if your Gloucester house needs some work. Fortunately for you, we offer a better buying experience by buying with cash. Regardless of your home’s condition, we can buy it as-is! We’ll come to check out your house once or twice before we close – once to see the house in person and talk about the price, and again if we need to with our contractor or investors (no need at all to clean up). That’s it. Along with a fast closing and no dealing with banks, this is a lot better than the retail sales process. We’ll close somewhere nearby (all the annoying paperwork is prepared) -then you’ll get cash in your pocket and an escape out from under that burdensome home. We will make you a fair all-cash offer on your Gloucester house… and if it’s a fit, great! We’ll handle everything. If not, then there is no obligation or fees or anything silly like that for you to deal with. Just a couple people talking and trying to make a tough situation into a win-win situation – and if it doesn’t work out, nobody’s worse for it, in fact, you’ll have learned something and be more informed about your property! We are glad to answer any questions you have about us, how the process works, and how we can help you. If you’re ready to start the process of selling your Gloucester MA home for cash, fill out our form and we’ll help you get started.